In 1910, Union Oil of California bought property along the Seattle waterfront and turned it into a petroleum transfer and distribution center. UNOCAL operated on the site until 1975, and then spent the next 10 years on cleanup efforts. In 1999, the Seattle Art Museum took “cleanup” to a whole new level. 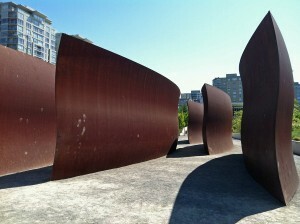 They purchased the property and turned it into the Olympic Sculpture Park. It sounds like one of those movies where the nerdy high school girl meets the cool guy and becomes the stunning prom queen, but that’s the actual history behind the Olympic Sculpture Park (2901 Western Ave.). The beautiful 9-acre offshoot of the Seattle Art Museum (also known as SAM) is free and open to the public 365 days a year. 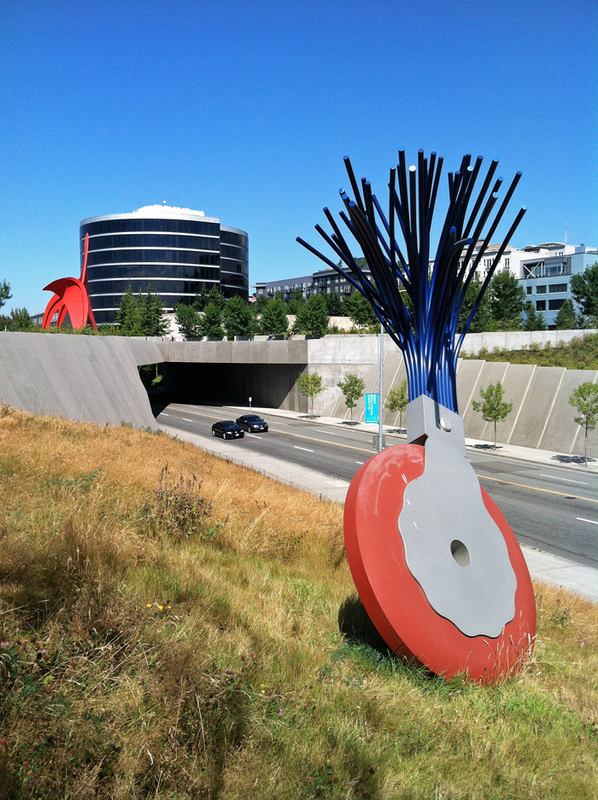 There are nearly 20 sculptures at the Olympic Sculpture Park. From Type Writer Eraser, Scale X (taking a mundane object to a massive scale) to Perre’s Ventaglo III (the reflective material is meant to create an optical illusion), each of the park’s pieces are one-of-a-kind. My personal favorite is Eagle, a 39-foot red steel sculpture that is often considered the highlight of the park’s collection. Views are aplenty at the Olympic Sculpture Park. Since the lot borders the city and the Puget Sound (the path through the park literally leads you from the city to the water — or vice versa), you can see the Space Needle, downtown Seattle, waterfront and Olympic Mountains. That’s what makes the Olympic Sculpture Park a nice place to chill out. When Tove and I were there, several people were reading their newspaper, eating their packed lunch, or just catching some rays at the park. I’ve also seen people posted there to watch the sunset on the sound. In other words, people treat the Olympic Sculpture Park like any other typical city park. Tove and I even spotted a random guy playing his trumpet when we were there (as shown in the video above (sorry about the audio — I was right next to a fountain)). The impromptu concert drew a small audience, and just goes to show that anything can happen at anytime in Seattle. Art (whether it be sculptures or music) is everywhere in this city. On top of the sculptures and the views (and sometimes free entertainment), the Olympic Sculpture Park also features a series of gardens and the Neukom Vivarium, which is actually a “hybrid” work of sculpture, architecture, environmental education and horticulture that connects art and science,” according to the SAM website. I honestly thought it was a just a normal greenhouse when I saw it, but now I realize it’s considered a piece of art after doing research for this post (I guess I’m a left brain kind of guy). Whether you’re visiting from out-of-town or you call Seattle home, you can’t beat a free attraction. 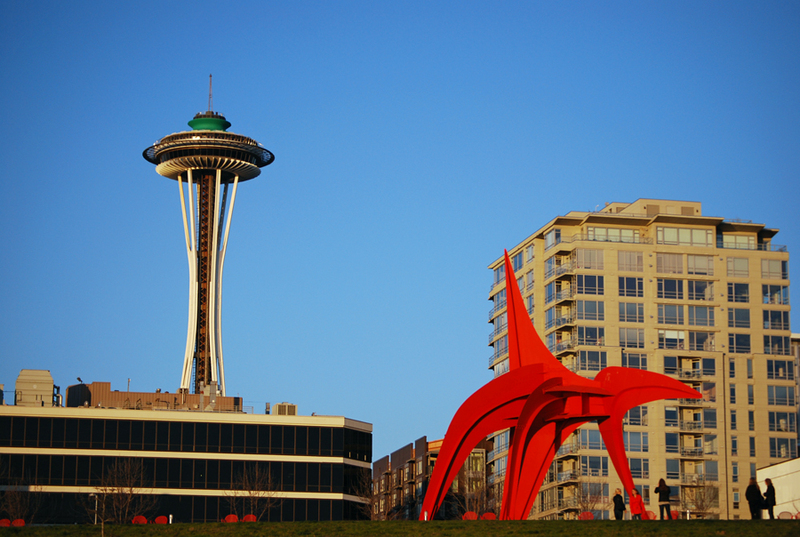 From the beautiful sculptures to the awesome views, we think it’s totally worth your while to stroll through the Olympic Sculpture Park. 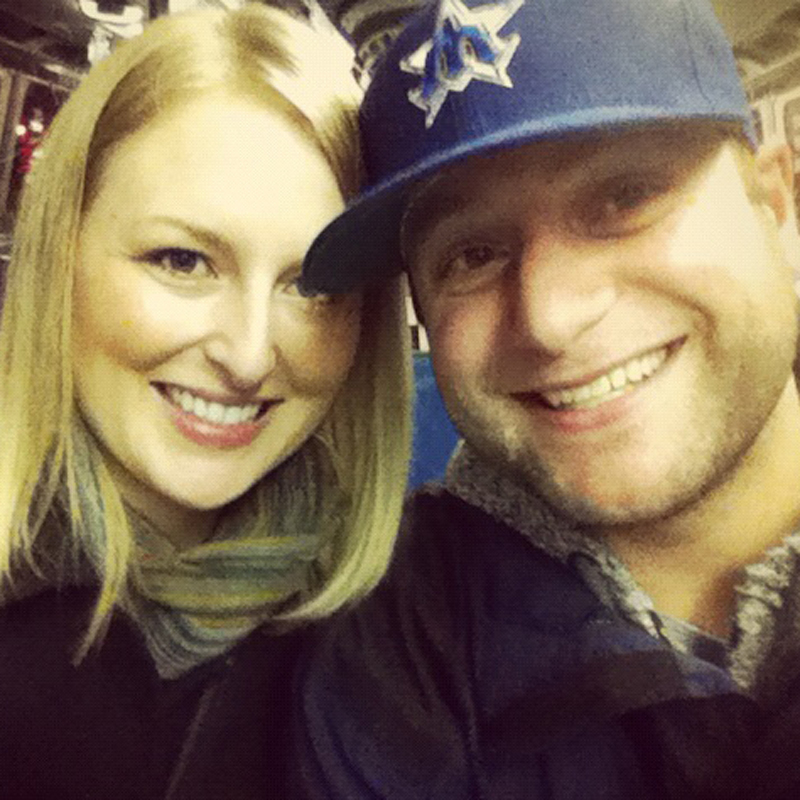 As I’ve revealed in this post, I’m not an artsy guy, but I still really enjoyed the park. Have you ever been to the Olympic Sculpture Park? How was your experience? We’d love to hear from you! Please leave your comments below or connect with us on Twitter, Facebook and Google+. Don’t forget to also check out Seattle Bloggers for more fun attractions around the Emerald City!